Pierce Burns | rancher. author. photographer. 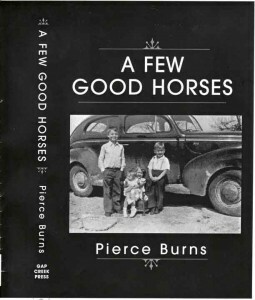 Pierce Burns is a writer and photographer who lives on the ranch his family started in 1873. He is a retired chemical engineer who wrote numerous formal reports on research projects during his career. He holds eight US patents and twelve foreign patents. He is a member of the Writers League of Texas and the president and co-founder of Texas Documentary Photographers. 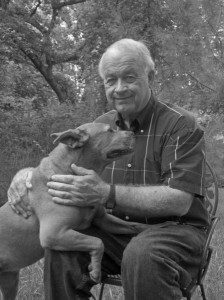 He is shown here with his dog, Mara. Mara died in July, 2011. Get a copy of “A Few Good Horses” today!